Cathy Miao. A guest commented to say that Greg Sullivan can be seen smiling on the second row. Greg is in the yellow shirt. 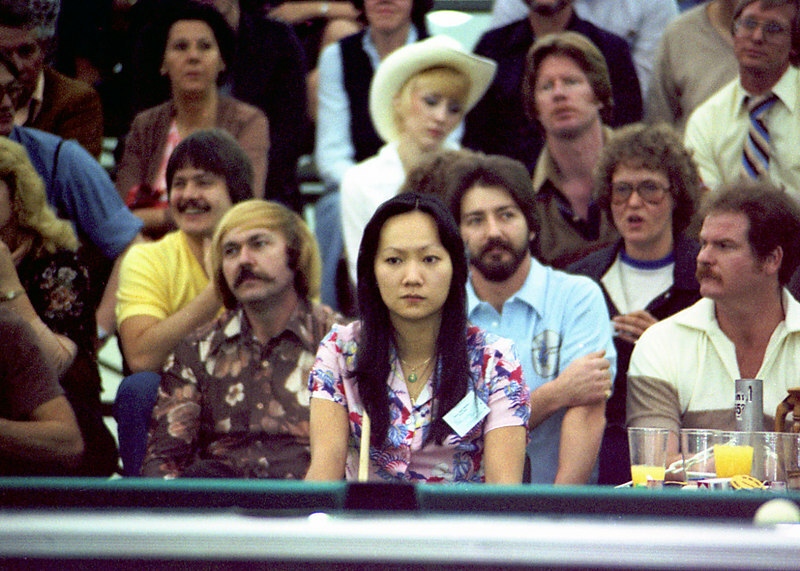 The guest also pointed out Mike Sardelli right behind Cathy Miao and Larry Ross (owner of Hall of Fame Billiards in Detroit) next to him. Thanks, Guest! Mary Kenniston won this tournament, not Kathy Maio. Mary Kenniston was the winner of this tournament, not Kathy Maio. Cathy Miao, the women's champ. And that's Greg Sullivan smiling in the second row. Mike Sardelli right behind Cathy, and Larry Ross (owner of Hall Of Fame Billiards in Detroit) next to him.